A belting new single from Cambridge trio Pink Lemonade. On their previous outing the stratospheric ‘Space Girl’, they were out in the cosmos for two and a half minutes of power pop ‘….surfing the waves of the Milky Way…not your usual Friday, hey!…’, a burst of energy featuring a na na na na chorus, fuzzy guitar and as much outer space terminology as they could cram into the grooves. Follow that! They have – although back to Earth lyrically the energy level has been maintained and probably increased. An insistent guitar line drives the song from the start, introducing a lyric of fitting in and alienation, a story being told over driving drums liberally adorned with cymbals, busy bass and a punchy lead vocal. The rest of the band join in on the vocals for a killer chorus which will lodge permanently in your brain. The song structure is suddenly disrupted with a surreal spoken and shouted call and response middle eight before we return again to the security of ‘…sugar and spice and all things nice….’. The trio seem to have a gift for writing excellent choruses and as the track goes into overdrive it finally ends with the line ‘…love, love, love makes the world go round…’. Indeed it does, listen and enjoy! 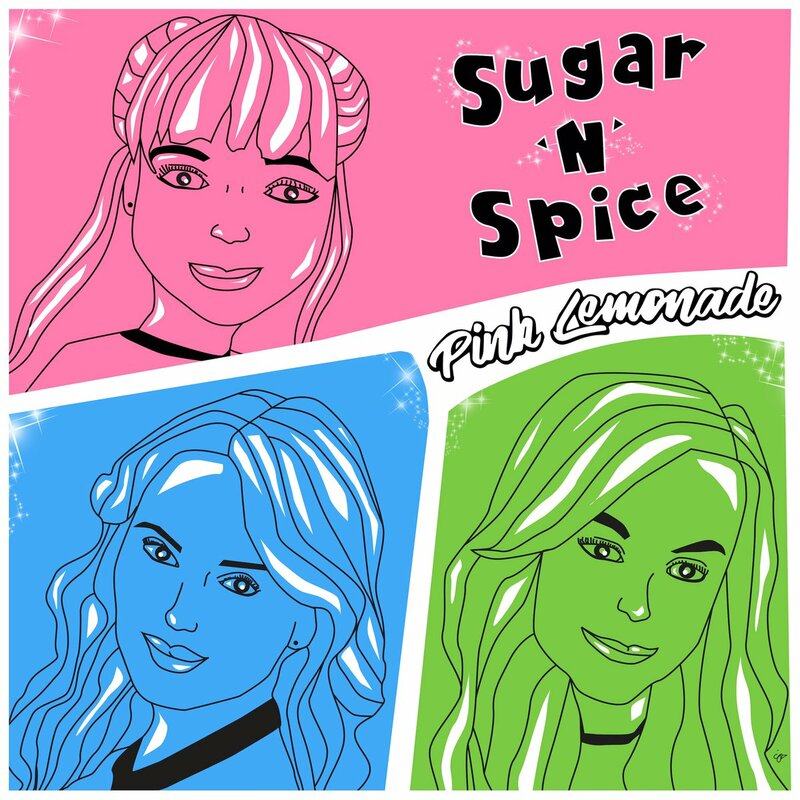 This entry was posted in Music and tagged Cambridge, Pink Lemonade, review, single, trio on February 1, 2019 by iknoweno.